When you think of the grill, you usually dream of burgers, hot dogs, wings, and steaks as the staple items for the barbecue. Where does that leave a beef roast? Is this larger cut of meat unable to be flipped and grilled with the best of them? Roasts are traditionally cooked in the oven because of their large size. Where burgers and steaks can cook on the grill in a matter of minutes on each side, wouldn’t a roast end up overcooking and drying out before the middle ever gets cooked? Today, we’re going to debunk some myths about cooking roast beef on the grill and get you seeing this cut of beef in a new light. Can You Grill a Roast? Cooking a roast on the grill may not be as far-fetched of an idea as you’d think. In fact, if done correctly, the cut can cook evenly and remain as tender as it would in the oven. And, you’ll even get that incredible smoky flavor you expect from grilled foods. There are some tips and tricks to getting your grilled roast just right, though, while locking in the juices and flavors to keep the meat from drying out. Most foods you cook on the grill take a little bit of practice to perfect. The truth is that everything cooks just a bit differently on a grill, and it can take time to learn the quirks of different food and the times they’ll take to cook. Even if you take two cuts of the same steak, one slightly thicker than the other, their cook times can vary. And, your grill even makes a difference, because one side might cook food faster than another, especially if you’re using a charcoal grill. 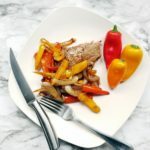 With that being said, there are some general rules you can follow to cook a delicious roast on the grill – and you can expect it to turn out just as tasty and tender as it would in the oven. If you’re wondering how to cook a New York strip roast, or any other beef roast, on the grill, you’re in luck because Chicago Steak Company has you covered. Heat your grill to about 350 degrees to allow a slow grill and even, thorough cooking. Cover the roast with your favorite rub before placing it on the grill. Give your roast a good sear by placing it on the hottest part of your grill until the crust becomes lightly browned and crispy. But, don’t sear the fatty end, as the fat drippings can cause hazardous flare-ups. Once it’s seared, move the roast away from direct heat to allow it to cook the rest of the way. This works much like an oven would, heating your roast thoroughly and evenly. As a rule of thumb, you’ll need to grill your roast for 15 to 20 minutes per pound, depending on your desired doneness. 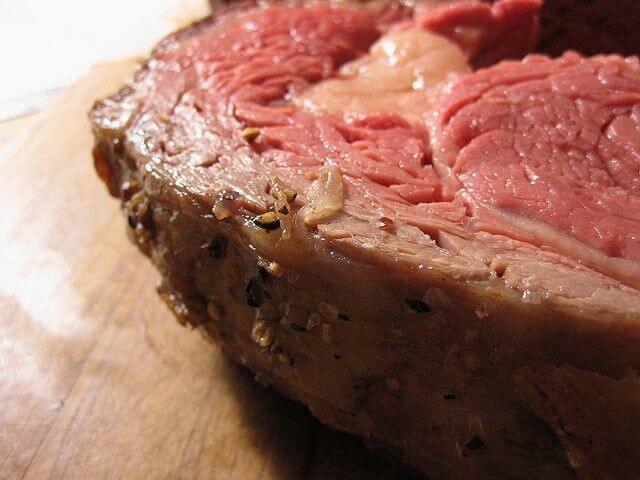 A medium rare roast should cook to 130 to 135 degrees, while a medium roast should cook to about 140 degrees before removing it from the grill. Allow resting for up to 30 minutes before slicing to allow the juices to move back through your grilled beef roast to preserve tenderness. Are you ready to try grilling a roast beef yourself? Great! Once you get the first one underway, you’ll be a pro at it. 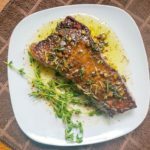 Be sure to check out our other grilling recipes at Steak University and helpful grilling articles that can teach you to become a grilling master, like learning how long to grill steak. Enjoy your grilled roast and be sure to check out the selection of roasts and other steaks that Chicago Steak Company has to offer!